When faced with the opportunity of a lifetime there tends to be only one major factor that holds people back… expense! Fundraising is an integral part of any expedition and, in many ways, it may appear to be the most difficult challenge you will face. Remember though, it has been achieved by countless other volunteers and with a little bit of hard work, determination and a helping hand from us, you can do it too! After a group has confirmed their expedition we like to pay them a visit (in person or via Skype), give a presentation, discuss fundraising ideas and help set-up an effective fundraising group. We cover everything from setting a realistic target and creating a fundraising plan, to how you can write a grant application letter and successfully organise events with maximum profit. You will also have access to all of the fundraising information that we have gathered over the years, and continue to build as more and more participants share their success with us. This will be provided for you in an electronic fundraising pack containing multiple useful documents, equipment discounts, volunteer case studies, lists of potential grants and a recording of the Opwall fundraising presentation – just in case you missed us at your school or college. This is probably the most lucrative area for individuals. Applying to local companies, charitable trusts, organisations and council will all hopefully have some funding available to volunteers. The nature of our expeditions means that we fulfil a lot of different funding criteria; you can fit your expedition in to applications for travel, education and career development grants to name just a few. We are always happy to offer advice on your applications, so run them past your local Opwall fundraising team before sending them off! Likely the first thing you thought of when you read the word ‘fundraising’. This area can encompass an array of different ideas including sponsored events, bag packing, car washes, cake sales, car boot sales, gig nights, themed parties… the options are endless! We will give you an A-Z of activities to give you some inspiration and case studies of the most successful events we have seen from our students. We can also offer advice on how to plan these events, advertise them and maximise profits by seeking out free or discounted venues, entertainment and refreshments. Raffles are massively lucrative as they have a great return and people love the chance to be a winner! Approach local companies for raffle prizes and hold your raffle alongside a big event for your friends and family to attend. UK students also have the opportunity to sell tickets for the Wallacea Trust Grand Prize Draw – we have sourced the prizes and printed the tickets for you, so all you have to do is sell! These are an easy and effective way to raise money over the course of the year – one of our 2017 students sold 800 tickets! The most obvious way to raise money for your trip as you are guaranteed funds for the hours that you put in. We understand it can be difficult to balance a job alongside your studies, but if you do have some extra time on your hands this is a productive way to use it! Think about up a weekend job during term time, or a temporary position over the holidays. As well as actively earning money, you may also be able to utilise your work-place and colleagues to help you fundraise! If nothing else, this will definitely take the pressure off looming payments. Students from Truro College arranged a Honduras themed evening meal ‘Una Noche en Honduras’. They held the event at an on-campus restaurant where food is prepared, cooked and served by Catering Diploma students, researching traditional Honduran recipes to serve on the evening. They were able to sell 45 tickets at £18 each to friends, family and college lecturers. As the event approached they quickly sold out, and with 45 as the maximum table number, were forced to turn people away. 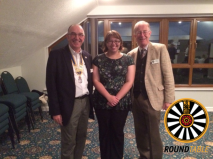 They also held a raffle on the night to boost profits and the event was a huge success, raising approximately £880! Students at Thomas Rotherham College decided on a Race Night as their main findraising event. The students organised the venue, designed and printed tickets and visited a local shopping centre to request donations for a raffle on the night. They contacted Rotherham United and were given a signed football shirt to auction, and Sheffield United who donated a signed football. 120 tickets were sold, a very good effort from 7 students. The night was a tremendous success, with almost £1000 in profit on the night. Kate was determined to raise the full cost her trip to Honduras in 2017, which she did with style! Her main event was a hugely successful motorbike festival that she organised with the help of her parents and their many biker contacts. 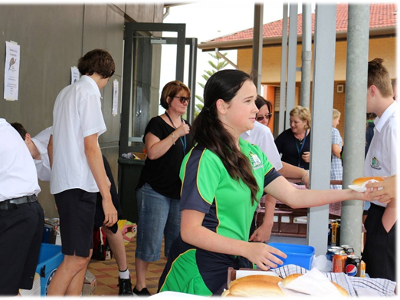 The event was held on the school grounds and attracted the attention of local radio, and a number of local services who were eager to get involved. 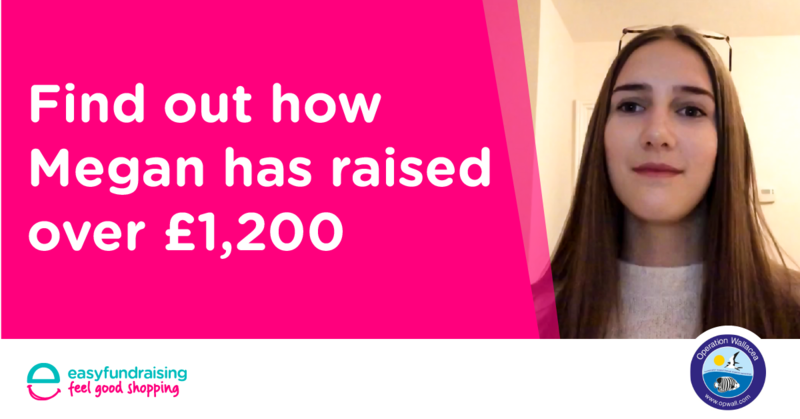 This alone raised £1500, which she topped up with a number of other events including a race night (£150), bag packing (£1300), a raffle (£100), a rifle range experience (£200) and a sponsored abseil (£350). She smashed her target and raised a total of £3600! Harriet started by making a plan of how much she would need to raise towards her expedition and made a list of people who could assist her with sponsorship. All of her planning paid off and she raised a great amount through the following activities: raffle tickets £30, cake sales £94, grants and sponsorship £615, part time work £317, selling items on Ebay and Shpock £30, bag packing £73. We love the design Harriet made for her fundraising t-shirts and her college even printed them for free! Merchant Taylors’ Boys School were active in their fundraising efforts, completing the Three Peaks Challenge as their main event. This involved hiking to the top of the three highest peaks in England, Scotland and Wales (Scafell Pike, Ben Nevis and Snowdon respectively) in the space of 24 hours. They raised £2100 in sponsorship which, when added to funds raised from a school disco and a £500 donation from Formby parish church, made a final fundraising total of £3150! The Dulwich College fundraising teams main event, with the assistance of their willing teachers, was a Pimms Tent held during their school summer fair. They organised a gazebo to house all of the Pimms, lemonade, fruit and ice that they needed for the day and were able to source most of the equipment they needed (e.g. jugs, knives and chopping boards) for free. Luckily, the weather was on their side and the event was a great success with many, many return customers throughout the day! 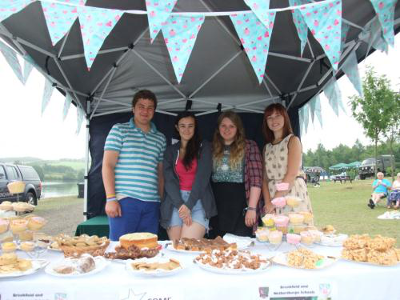 This event alone raised £1133 for their expedition to Ecuador! Students from Hyndland Secondary School completed a range of fundraising activities to raise an incredible total of £5732. This included bag packing at their local Sainsburys, a quiz night and designing, printing and selling a ‘Year of Young People’ school calendar. Their biggest event was a series of inspirational guest lectures, including one by Eilidh Doyle – Olympic medalist, captain of the British Athletics Team and Scotland’s most decorated track and field athlete of all time! Eilidh’s talk raised well over £1000 on the night, and she even stuck around to talk to offer our expeditioners advice on how to tackle the stresses of physical exertion, being away from home and working as a team. Thank you, Eilidh! Operation Wallacea has recently teamed up with The Murray Foundation, a charity whose primary aim is to support young people participating in projects that advance education and develop an understanding of environmental processes. In line with this objective, together we have launched the Murray Foundation Award; offering five grants of £1000 to UK school groups taking part in any Opwall expedition. We are delighted to be able to offer such a fantastic funding opportunity to our students! The backbone of the application process is all about fundraising. In order to apply, we ask that students show us how they have worked together as a group to promote and raise money for their expedition. Applications for the 2018 award are now closed. Tickets for the 2019/20 Grand Prize Draw can be purchased from our online shop. These are bought at £3.50 per book of ten and can be sold on for £1 a ticket – generating a profit of £6.50 per book. The money volunteers spend on tickets is used to fund our three cash prizes of £3000, £1000 and £500! Here’s a quick, FREE and easy way of raising funds. Collect FREE donations towards your trip when you, family and friends shop online! You can get started straight away by registering your expedition as a cause with easyfundraising. There are over 3,500 retailers giving donations on everything from groceries and DIY, to takeaways and fashion, to holidays and insurance. Hundreds of our volunteers have used easyfundraising to date and raised a MASSIVE £64,000, to help them fund their expeditions! To help you get started, we’ve created a simple guide giving you details of how to use easyfundraising and explain to family and friends how they can support you. You can view it here. Intellectually, physically and emotionally challenging – but a fantastic opportunity to learn real science (and geography) in fantastic places. It was great to see our students growing as a team and learning to get on with people from other countries and cultures. Thank you! Excellent experience and learned lots from tremendously knowledgeable staff. Loved how passionate the staff were about their research. Vamos! It was the trip of a lifetime and I would do it all again in a heartbeat! The Honduras expedition provided an excellent insight into practical conservation. It was an experience that I gained so much from as it has highlighted to me the need for environmental protection, the expedition is something that I will remember forever!